Sum 41 has been forced to cancel their return to the Vans Warped Tour. The band played over 20 dates during the seven week summer tour that took them to cities all over the United States and Canada. The band had taken leave to play Summer Sonic festival dates in Japan and were expected to resume their spot on the Vans Warped Tour this week. Unfortunately, lead singer Deryck Whibley was attacked in a random unprovoked incident in Japan last Thursday night which aggravated a previous slipped disk injury that he sustained in 2007. After seeking medical attention, Deryck and band mates Steve Jocz, Cone McCaslin and Tom Thacker went on to play as part of the festival in Osaka and Tokyo. Whibley’s condition has not improved. 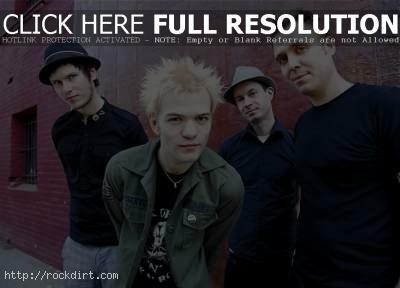 Knowing that they are unable to deliver their signature high energy show, Sum 41 made the tough decision that a break is needed while Deryck begins rehabilitation for the slipped disk. Whibley is expected to make a full recovery with the necessary treatment and rest. The band will be back out on the road again in Europe at the end of August.